We are going to use the Divi built in module functionality as much as possible so it is super easy to edit, then create some custom animation to replicate the effect seen on FitBit. 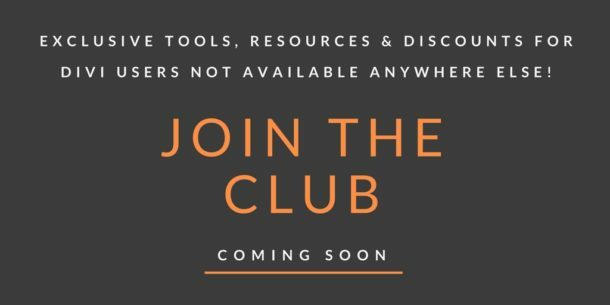 Get the code you need in the accompanying blog post, scroll to the bottom for your fabulous freebie and be sure to let me know what you think in the comments! A transparent PNG of an iPhone frame or other device. You can download the free one I am using here. 4 images to place ‘inside’ the iphone, I just took screenshots on my own phone, the image dimensions I am using are 750px wide by 1334px high and I suggest you use the same dimensions so you don’t have to bother tweaking the padding settings. This should take you around 40 minutes. The first thing we are going to do is set up our two sections. 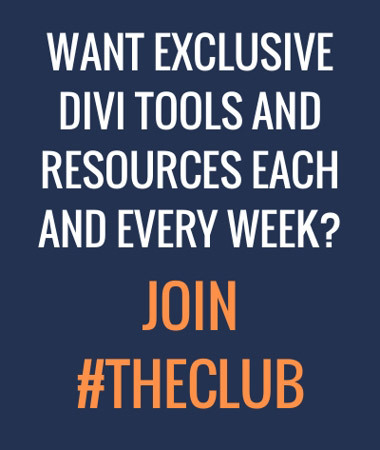 We are going to hide the full layout and display the slider layout when the device width hits 980px as that is Divi’s tablet breakpoint when columns start to stack. So instead of messing with column widths and a ton of media queries, this will make it nice and clean and ensure the content doesn’t get too bunched up. We are going to be using a specialty section for the desktop layout, so add a new specialty section to your page and choose 2/3 1/3 layout which is the last one you see at the bottom right. Whilst you are still in this tab, scroll down to the Main Element box and paste in the following CSS. This gives the background a nice gradient effect. There is a link commented at the top to the actual gradient on Colorzilla.com so you can easily change it to fit your own colour scheme. Once you have done that, Save & Exit. Next, click on where it says Insert Column(s) and add a single column, this will be for our title and subtitle. Then click on Add Row and insert 2 columns. Now for the mobile section setup. 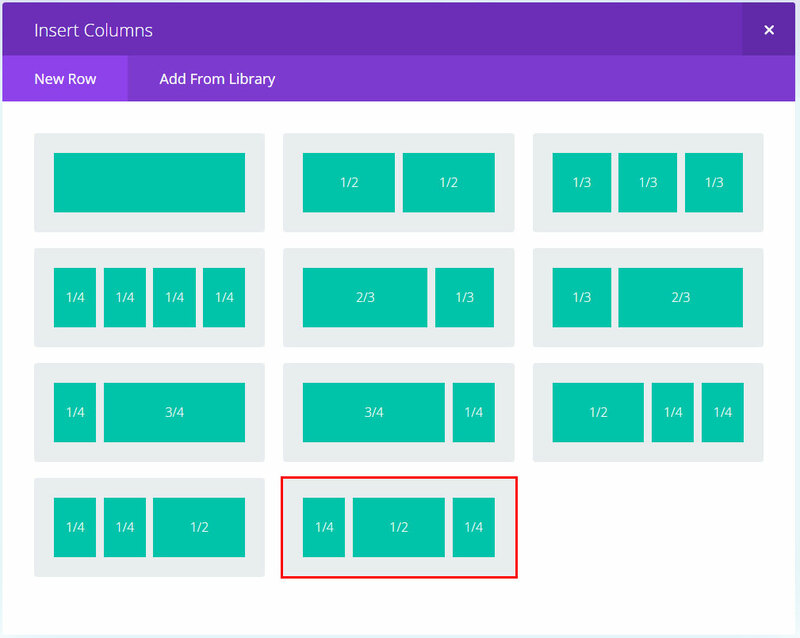 Add a standard section below the specialty section you just created and again select the last layout in the list, which is ¼ ½ ¼ . Next open up the Section settings, click on the Custom CSS tab and give the section a CSS Class of ds-app-mobile-section. 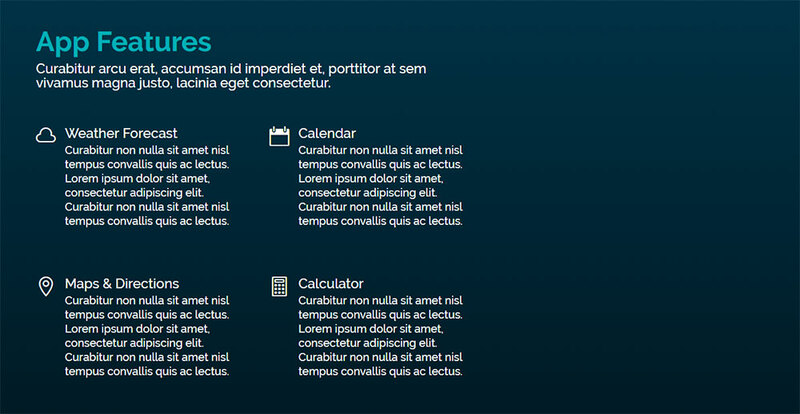 Then scroll down a bit more and in the Main Element paste in the same CSS for the background gradient we used earlier. Here it is again for you. When you have done that, Save & Exit. 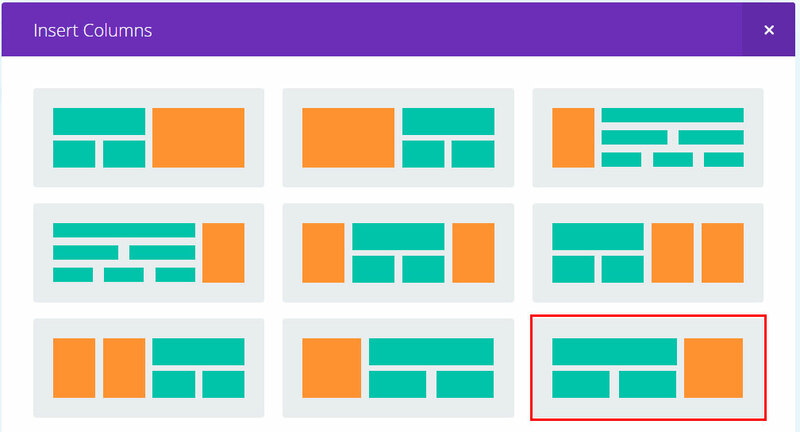 For the final step of preparation, click on the Clone Row button in the section we just created so we have two identical rows in that section. That’s our prep done, now for the method. 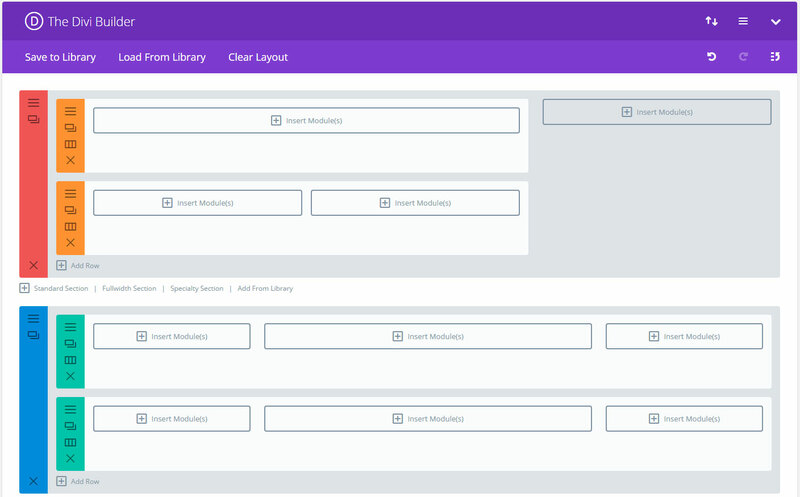 The first thing we will do is populate our sections with the required modules. 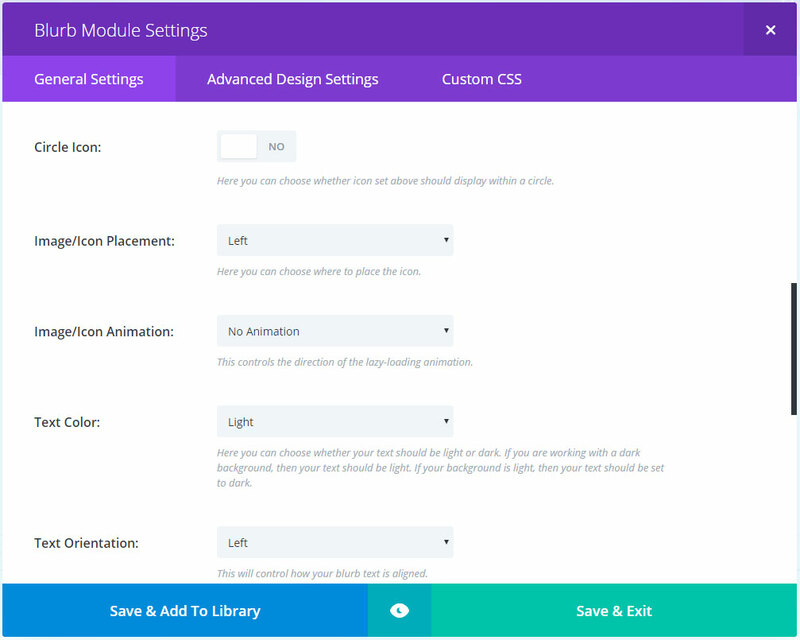 Then in the single column to the right you will want 5 image modules and then a divider module. Now, back up to our Specialty Section and we can start to add some content. Open up the text module in the first row and add in your title and subtitle. You can set your fonts, sizes and colours in the in the Advanced Settings, I will leave any text styling to you so it matches the site you are working on but you will want to choose Light for the Text Colour in the module’s General Settings tab if you used the gradient background code from earlier for the section background colour. Here is the HTML I am using in the demo. You can then Save & Exit, nothing else we need to do with this module. Next, open up the first Blurb module in the first column of the second row. Give it a title and a link if you want it to go somewhere when clicked, and set the icon you want. Then add the text you want to show below the title in the content area. 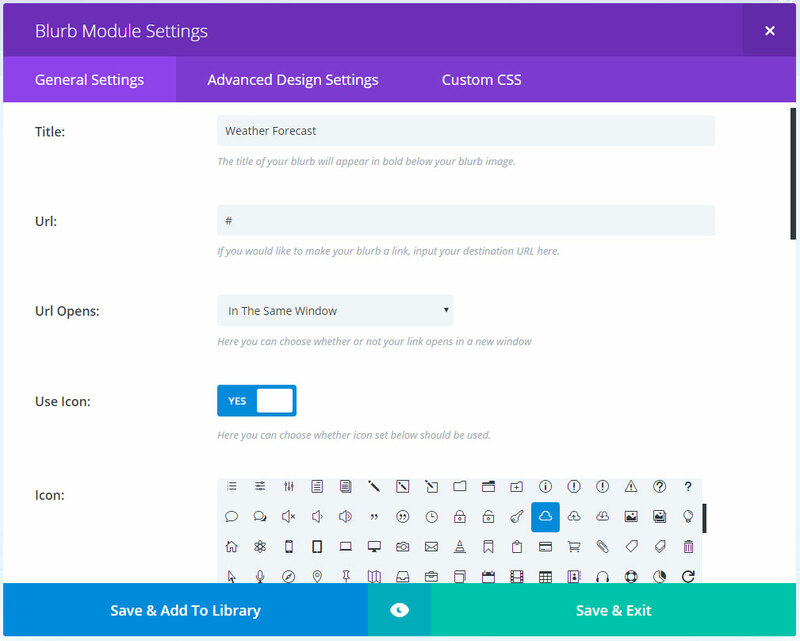 Style your text how you want it in the Advanced Settings tab, then click on the Custom CSS tab and give the module a CSS Class of ds-app-blurb1. 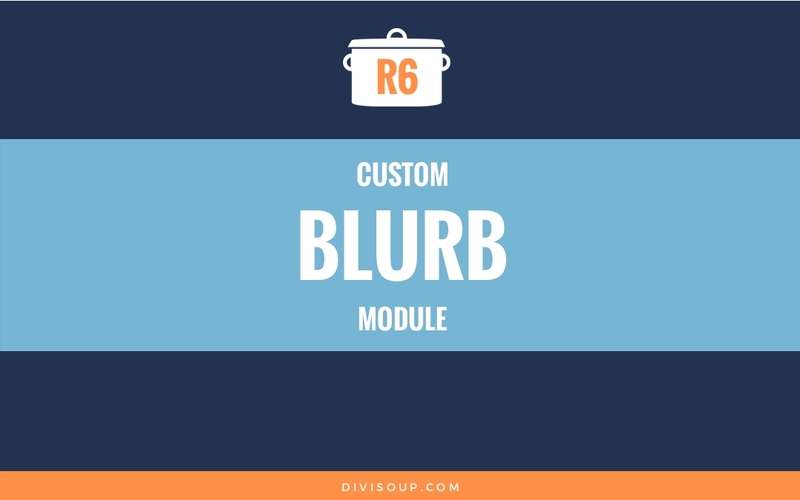 Now open up the 4 Divider modules that sit below your Blurbs and give them each a height of 20. Now for the iPhone column. Open the first Image module in the Single Column on the right of your Specialty section and click on Upload an Image. Now for the tablet and mobile section. You can set your fonts, sizes and colours in the in the Advanced Settings, I will leave any text styling to you so it matches the site you are working on but you will want to choose Light for the Text Colour and Center for the Text Orientation in the module’s General Settings tab if you used the gradient background code from earlier for the section background colour. Here is the HTML I am using in the demo. 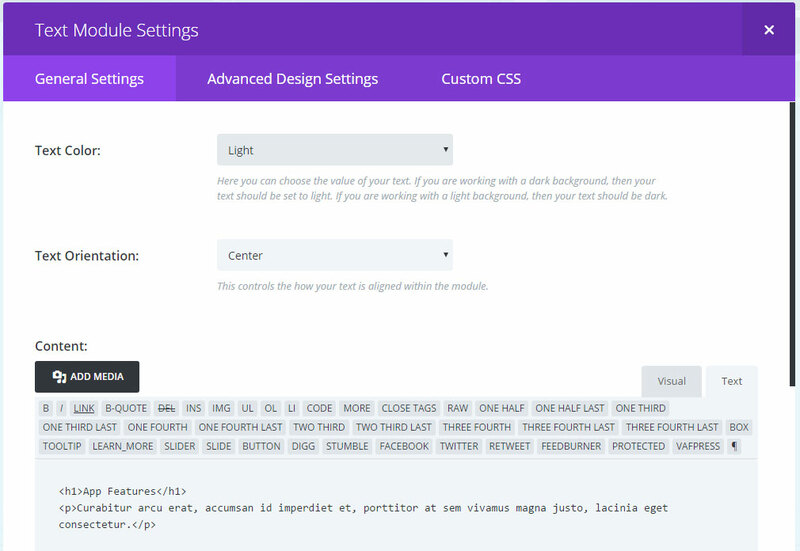 Then in the Custom CSS tab, give the module a CSS Class of ds-app-slider. Now we need to add our slides. Back in the General Settings tab click Add New Slide. In the slide that is created, set the background colour to transparent using the RGBA slider on the colour picker but do not touch any of the other settings. Be sure to change the image URL to that of your own image and the text to your own, but make sure to keep the ds-slider-image class before the URL as you see in my example. Then click Save. Now duplicate that slide 3 times so you have 4 slides in total. Then go into each slide and change the image URL and text in the content area to your own so you end up with 4 different slides, just as we have 4 different images in the desktop section. 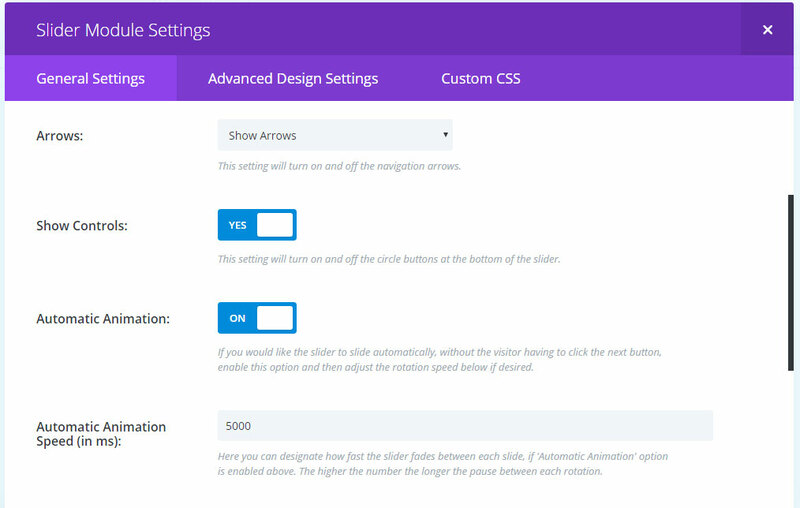 Finally, open up the settings for the row that contains the slider we created. In the Advanced Settings tab, scroll down to the Column 2 Background Image field and insert your iPhone frame image. 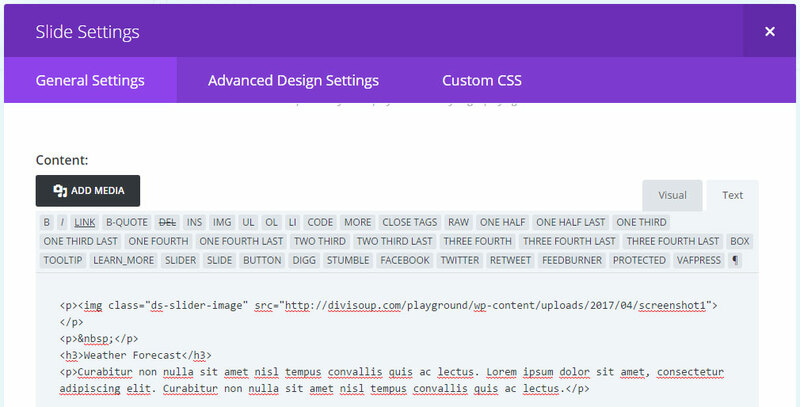 Then click on the Custom CSS tab and in the Column 2 CSS Class field, add a class of ds-slider-col then Save & Exit. If you preview your page now it will look a bit of a mess. Time for some CSS! As always the full CSS has commenting to help you, but let’s take a look at what each section is doing. First the Desktop version CSS. In this section we are positioning our elements. Firstly the iPhone frame image, then the desktop section on smaller screens but before tablet size, and then the images inside the iPhone frame. We are adding some padding to these images so they sit nicely on all screensizes. You may need to adjust this padding if you use different size images. Next we are setting the states of our images and blurbs before our animation begins. So we have our images set to zero opacity and our blurbs set to 50% opacity. Here we are defining the animation name and timing for our blurbs and images, this is so that they switch at the same time, every 5 seconds and they do this on a loop and never stop. Now we set the animation delay, we have the delay for the first transition at zero so immediately our first image is displayed and our first blurb is highlighted. We then switch both the blurbs and images every 5 seconds, creating a 20 second total animation sequence. Here is the actual animation effect for the blurbs and images. We are fading the active element out a quarter of the way through our animation, this is what gives us the cross fade effect. If we didn’t do this, we would have a gap between the transitions. Now for our tablet and mobile CSS. Firstly we are positioning the iPhone frame image we placed in the background of our column and making sure the image doesn’t repeat. Then we are adding padding to our content and slide images so they are spaced nicely on screen. After that we are adjusting the position of the slider arrows a little so they don’t sit over our images. 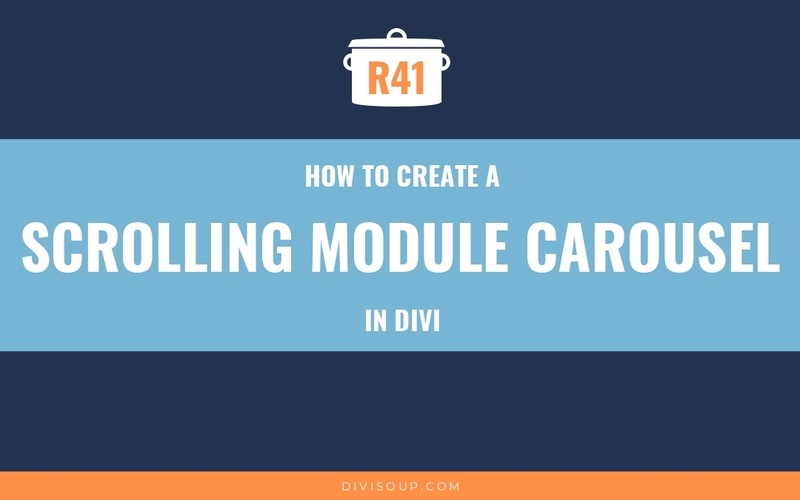 In the next section we are using Divi’s default slider animation settings but renaming the animation so we can change the way the effect works. And here is where we change the effect, we are simply changing the animation to a fade effect instead of a slide effect, and having that fade happen 40% of the way through the animation to again create a cross fade effect. And finally, we are using media queries to define at which screen size each of our sections display and hide. Here is the complete CSS. 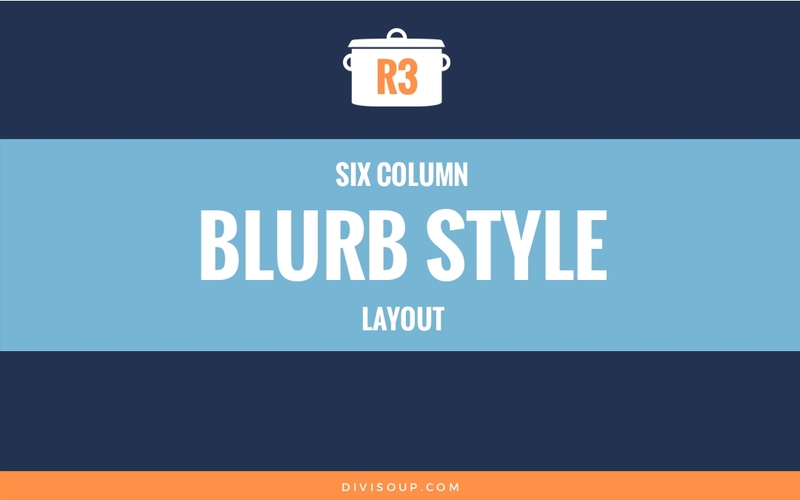 Copy and paste this into your child theme stylesheet, page specific CSS box or the Divi theme options Custom CSS box. 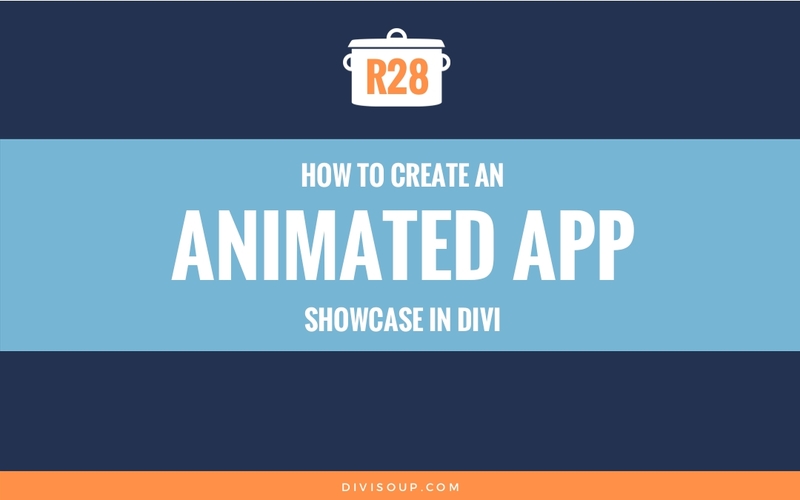 Now view your page and you should have an animated app showcase very similar to my demo. 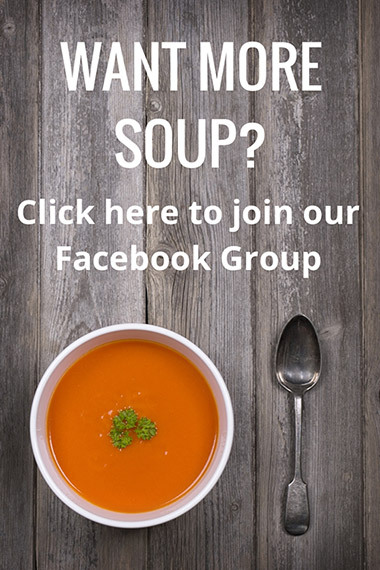 Is there any way to create a similar effect but make the screen change (or whole image) when the blurb content is hovered over? Not with this module since it uses a slider. Hey, thank you very much for this tutorial! I have a question concerning the slider shown on mobile devices: for certain screen sizes, the Screenshots move out of the Iphone background picture (if texts do not have the same length). Is there a way to fix the size of each slide so that the pictures stay within the Iphone frame (no matter how long the text is)? Thank you very much! This is great…except it doesn’t seem to work in IE. I know…people shouldn’t be using IE to being with, but still, I need it to work there or I can’t use it. Any suggestions? I’ve got it on a staging site at oceanfrontcd.flywheelsites.com right now. I know!!! I run IE in Virtual Box just to test things out for the poor unfortunate souls saddled with IE. My computer complains every time I open it. The max-width did the trick. Thanks so much for the help! You can see the finished product at oceanfrontcd.com. 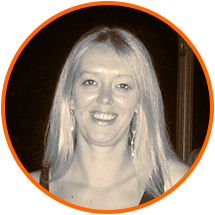 Hello michell your work is great !! Thank you very much for sharing it. How can I make it responsive to this resource? I can’t see anything on mobile device. I have tested it with several plugins and it does not work. Do you know of a plugin that can adapt this resource to mobile devices? This looks awesome. Is it easy to add this? If I click “Weather Forecast” it shows the picture for that. If I click on “Calendar” it shows the image of the calendar? Is it possible to have that alongside with the animation? This is quite an amazing piece of work, Michelle. Thank you for posting this for free. I’ve managed to get it working on my website except I just cannot seem to get the images to line up on a mobile phone. Perhaps, I just need to work on the padding. This is very interesting, however, I feel that it is bad user experience. Pretty much everybody is going to try to click on the blurbs to force the iPhone image to change, but they’ll be frustrated to see that doesn’t work. It just continues on its timed loop. What’s even weirder is that the blurb titles are technically links, but they don’t go anywhere or do anything. If you could figure out a way to make the iPhone image change when somebody clicks on a blurb, rather than just the timed loop, then this would be perfect. Hi Michelle. This turned out awesome! No surprise there. I’m already trying to work it into the site I’m currently working on (for my side hustle), but what if I wanted to add multiple sections like this on a page and maybe have the modules on opposite sides (like the fitbit page)?